Now that the Christmas holidays are over, we are back to normal. But returning to the day to day routine can be hard if during the holidays you have not had occasion to disconnect. If you are like us and the return to routine has been done uphill, you may need a trip. That’s why for this week we bring you five cheap flights from Alicante available untill the end of January. You do not have to worry about the money because after the holidays the prices of the flights have dropped a lot and we have only selected cheap flights, more specifically those that at the most cost 50 euros round trip per person. Even so, you should bear in mind that prices may vary from when we publish them until you review them. The first option that we bring you is to visit Germany knowing Colonia during a weekend. For this we have selected a one-way flight for Friday 18 January and a return flight for Sunday 20. In total they cost 30 euros (15 each way). 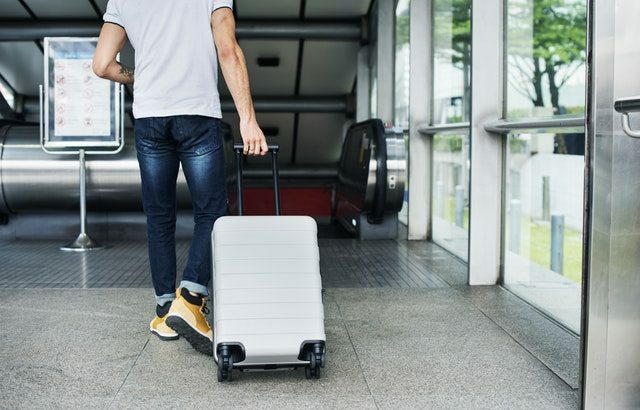 Both are with the airline Ryanair, so we advise you, if you are interested in this trip, check our post about the new luggage regulations (click here). Visiting the Cologne Cathedral and its 160-meter tower, strolling through the Rheinpark and relaxing in its Roman-style baths or learning the history of chocolate at the Chocolate Museum are enough reasons to visit Cologne. *Click here to find flights. The second bargain we propose is to visit Spain. And sometimes we insist on visiting other countries, without assessing what we have at home. You can visit Seville for 23 euros round trip if you plan your trip for days 27, 28, 29 and 30. In this way you can visit the incredible Plaza de España saving you almost six hours of travel by car from Alicante. We know that it is not in the weekend and if you are working, you may not be interested in this trip; But for university students who have finished the exams and have a few days of vacation until classes start in February, this can be perfect. * Click here to find flights. How do you like to visit Italy? Milan awaits you from day 22 to 25 for 50 euros exact. Many are those who say that this city does not have much to visit, but for us quality is more important than quantity. That is, we prefer that its tourist attractions are beautiful, even if they are few. Even so, being able to discover the Cathedral of Milan, the Galleria Vittorio Emanuele II, the Teatro alla Scala, the Sforzesco Castle or the Monumental Cemetery do not seem too small. If you want to know it well, at least you should dedicate to this city two days. If you have more time, you can visit Lake Commo. If you are interested in knowing the United Kingdom, in this fourth option we bring you three possibilities with which you can choose by destination, price or date. If you have a weekend available in January, save from Friday 25 to Sunday 27 because for 34 euros you can go to Bristol. If you prefer to visit the capital and have a little more time, you can discover London for 37 euros from January 26 to 29. But if you prefer to travel to less tourist areas where you really are able to disconnect, your choice is Newquay. Visit the southwest of England from January 24 to 27 for 30 euros. *Click here to find Bristol flights. *Click here to find London flights. *Click here to find Newquay flights. The fifth and last option of cheap flights for the end of January is Oslo. This time we have selected flights for you to enjoy the city for four days (from 22 to 26 January). The capital of Norway has a reputation for being boring and cold, but that is not exactly the truth. Oslo is a city not too big, but with a lot to see and do.Do not get scared of the cold, because with a good jacket, thermal clothes, a pair of gloves and a scarf everything is solved. As you can see, in January you can get flights (including the round trip) for very low prices. We hope that our selection has helped you to be able to disconnect from the routine after the Christmas holidays. If you have not been convinced of any of these options, surely if you look good and are flexible with the destination or dates you will find cheap flights to any European city. Whatever your choice for your getaway for the end of January, at We Park we will always be happy to welcome you and take care of your car 24 hours a day.